In the concluding article in our series on the different owls of New England, ONE investigates the Barred Owl. The Barred Owl is a medium-sized owl that is typically between sixteen to twenty-five inches long, with an impressive wingspan of between forty to fifty inches. Females tend to be around fifteen percent heavier, and larger, than males. They are a gray-brown color with white horizontal streaks on the chest and vertical barring on the belly. The belly feathers of some Barred Owls are pink which some ornithologists attribute to their eating an abundance of crayfish. They have a whitish-brown facial disk with a dark brown trim and no visible ear tufts. They have brown eyes and a yellow, feathered, beak. Their call is perhaps the most recognizable of all the New England owls to the layperson. It’s familiar hooting is distinctive and is often phrased as “who-cooks-for-you, who-cooks-for-you-all.” A typical Barred Owl hoot can be heard here. The call is used to define the Barred Owl’s territory, which can be up to around 900 acres, and so needs to carry a good distance. 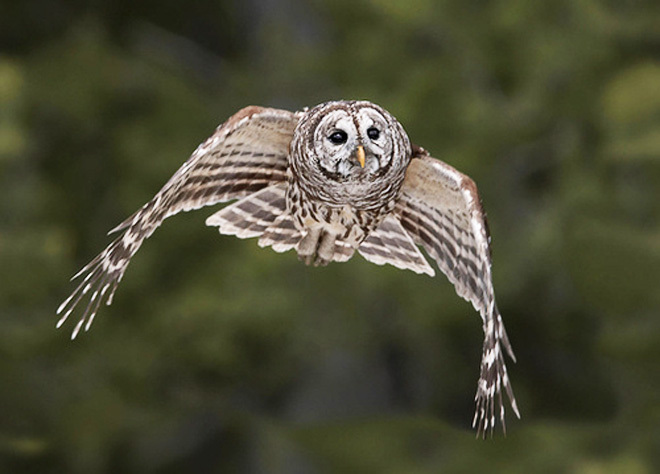 Barred Owls can be aggressive, particularly when defending a nest or at the edges of their territory. 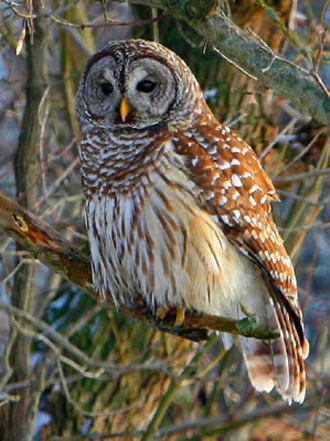 The more aggressive Barred Owl often displaces the endangered Spotted Owl. 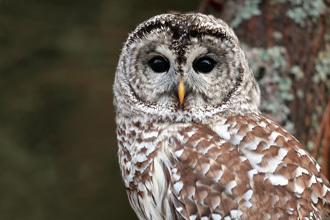 Barred Owls are found throughout New England all year round. The thick forests here are an ideal habitat, particularly dense wet forests as their prey extends to frogs. Barred Owls are predominantly nocturnal, hunting at night or at dusk, although they can sometimes be active during daylight hours. The Barred Owl, like many owls, is an opportunistic hunter. 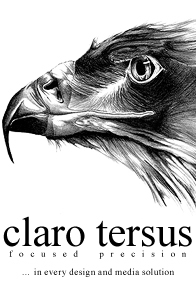 It sits on a high perch looking and listening for prey, which they catch following a short flight. Meadow voles are its main prey, followed by shrews and deer mice. It will also prey on other small mammals (including squirrels and bats), birds (such as woodpeckers and pigeons), small fish, frogs, snakes, other reptiles and even some insects. Barred Owls begin courtship in February with breeding occurring between March and August. Barred Owls nest in cavities and the female lays between two to four eggs. They are incubated for approximately a month. The young leave the nest at around four weeks, but are unable to fly, so are called branchers. They become fledglings at around thirty-five to forty days and parents care for their young for at least four months, much longer than other owls. Barred Owls mate for life and territories and nests are maintained for many years. Barred Owls have lived for up to twenty-three years in captivity, and survive an average of ten years in the wild. With Great Horned Owls their only natural enemy, most other deaths are related to man. Look out for our new series, The Nature That Surrounds Us, which is coming soon to ONE.